Gothic style seems like a miracle. No other culture created anything like it before it emerged in the mid 12th century. Only Europe built such high and wide inner spaces, condensed the stone so that windows take up most of the walls, and filled the interior with colored light from stained glass. These monuments are as breath-taking as the pyramids at Giza, and Angkor Wat. The world-view that they emerged and thrived in was one of human history’s most fascinating cultural landscapes. King Louis the Fat ruled a small area around Paris in the early 12th century (when Suryamarman II was building his Afterlife crash-pad at Angkor). His head wasn’t fat though–he expanded his kingdom into all of modern France’s eastern half, and now wanted to express the glory of his crown and country. 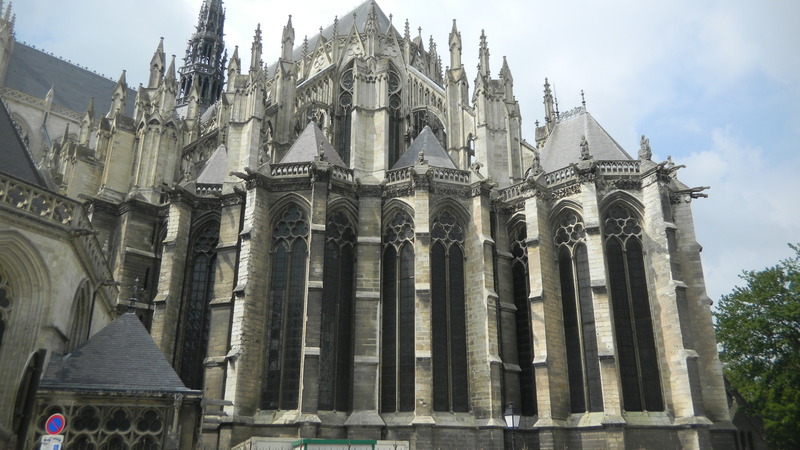 Louis’ great minister, Abbot Suger, managed the abbey of St. Denis, about 10 miles north of Paris. 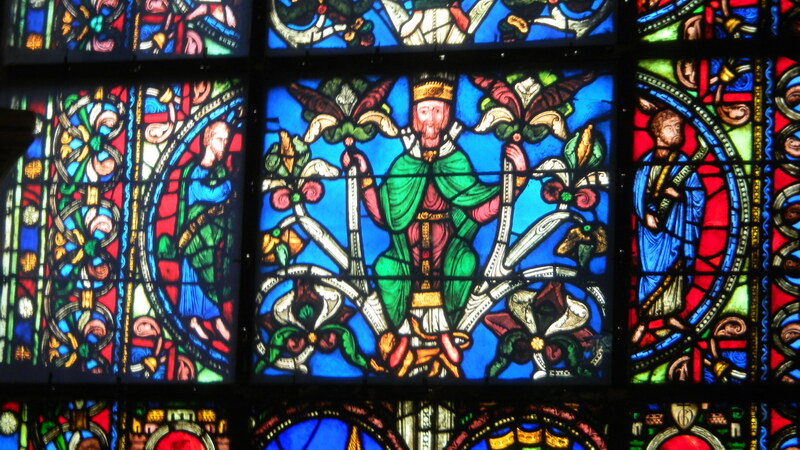 St. Denis was France’s patron saint, and he was buried there. Kings had been laid to rest at the abbey since the 7th century. The abbey was thus fused with France’s identity. Suger managed the abbey’s renovation for the glory of God and France. Suger wanted more light on the altar. 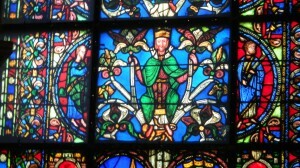 Other cathedral builders had already been making stained glass windows (using iron oxides for reds and cobalt oxides for blues). The cathedral at Augsburg had 24 windows in the upper part of the nave. Each window portrayed a prophet or an evangelist, and thus created a heavenly Jerusalem that presided high over the congregation. Each figure is rigid, and shows complete royal magesty. But the above picture shows one of Suger’s creations at St. Denis. It too is stately, but it’s also elegant and full of a French joie de vivre. Not only did Suger’s creations express more dimensions of divinity, they gave him far more than he bargained for, and helped usher in a new world. Please see the next post on Gothic style, if you dare. 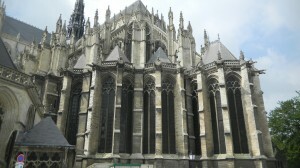 Previous post: Saint Etienne’s Cathedral in Bourges, France; The Most Beautiful Gothic Cathedral?